Black full grain leather upper incorporating Cordura fabric. Waterproof and breathable inner lining. Waterproof YKK zip side entry. 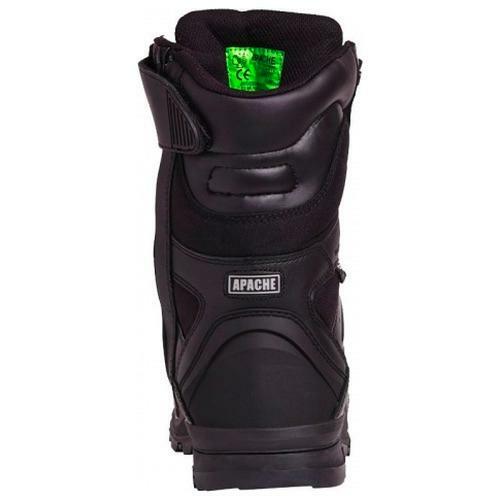 TPU heel guard and anti-scuff toe protection. PU/Rubber HRO Outsole to 300c. 100% non-metallic. 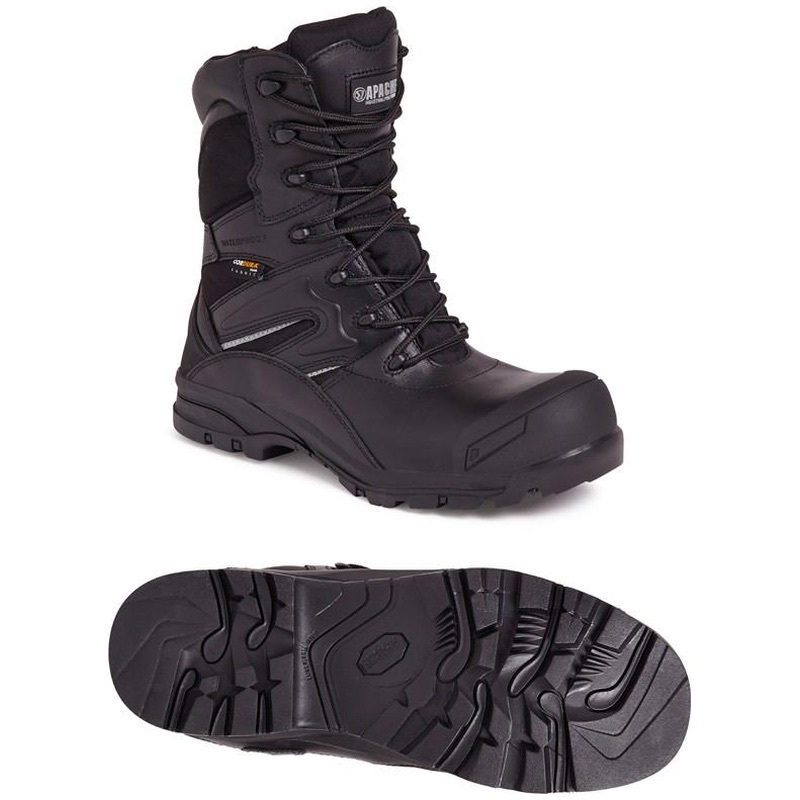 A highly technical boot with a great degree of comfort.